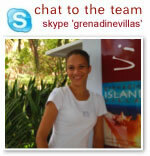 To reach the Grenadine islands fly in to Barbados, Grenada or St Lucia From Europe, USA & Canada. Barbados is the most popular International Airport due to a larger number of connecting flights to the Grenadine islands, compared to St. Lucia and Grenada. Alternatively it is also possible to fly to Martinique, Puerto Rico or Trinidad and transfer with SVG, Liat or Mustique Airways to The Grenadines. JetBlue from JFK: Mon, Tues, Thurs, Sat & Sun. American from MIA: Mon, Tues, Wed, Thurs, Sat & Sun. Serviced by regular flights with Liat Airline, the leading Caribbean Airline. Please contact us for more details and booking - the times above may vary slightly throughout the year. There are 2 scheduled flights per day, which take roughly 50 minutes. Please note that the airline sometimes removes the booking option of an afternoon flight during end of the low season eg September. Simply let us know your international flight times and we can give you the best options available to you. We make your flight reservations smoothly for you and the cost is the same as booking with the airline. We can update you easily at your villa... or the beach if the airline has any messages for you . Flights are limited to daylight hours in the Grenadine Islands so if you need an evening transfer let us know. Once your flights are confirmed we will send your flight reservation e-tickets & instructions. After arrival in St. Vincent's E.T. Joshua Airport visitors should take a taxi to the Ferry Dock in Kingstown (just a 10 minute drive). Here you can catch one of the ferry services to Bequia, both the Admiralty and Bequia Express run several times a day. If in doubt ask your taxi driver, as they are always very friendly and happy to help! Tickets are paid for on board and cost $25ec one way and $45ec for anytime, any day return - must be with the same ferry company. The ferries offer drinks and snacks on board and air conditioned seating inside, however, most passengers enjoy sitting outside to watch the beautiful ocean views and the approach to Bequia, looking out for pods of dolphins, whales and flying fish along the way... Port Elizabeth is a very pretty harbour and we recommend being up on deck as the ferry docks. We can arrange fast speedboats, private yachts or comfortable catamarans to transfer you between islands. The majority of travelers will not have a problem getting to and from Bequia in one day, however if flying directly to Bequia please remember the last flights are at: 4:30 pm in the winter and 4:15 pm in the summer, so we recommend a minimum of 45 minutes connection time in Barbados. SVG Air always do their best to get you on the flight but if your connection time is tight, your check in bags will most likely follow on the next day.